Increasingly, MSPs and MSSPs are offering VoIP service to their customers to plug this area of revenue leakage. MSP City vendors offer a branded solution that will allow your organization to manage VoIP systems directly without the need to call customer service for support or repair. 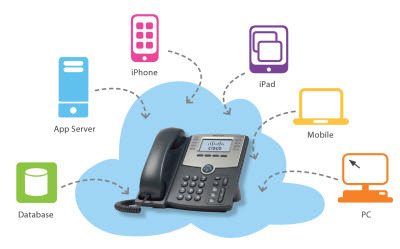 Offer your customers a state-of-art hosted IP-PBX system with all the bells and whistles to include advanced call forwarding, call redirect, call recording, call statistics, call detail, ring groups, auto attendant, chat, faxing, conference calling, conference bridge, smartphone app and much more. Call Centers, also known as Contact Centers, offer your organization the ability to sell to large organizations with a need for advanced statics, complicated call flows and innovative monitoring options.